If you’re an A. G. Howard fan, you know she does retellings right. We’ve seen her tackle Alice in Wonderland with her Splintered series, and most recently the Phantom of the Opera with her modern-day RoseBlood tale. Fans are constantly posting on social media about the next story that should be A. G. Howard-ified—and it seems like we have our answer! Just this week, Publishers Weekly shared the news that A. G.’s next story is inspired by none other than The Princess and the Pea. Sounds incredible, right? 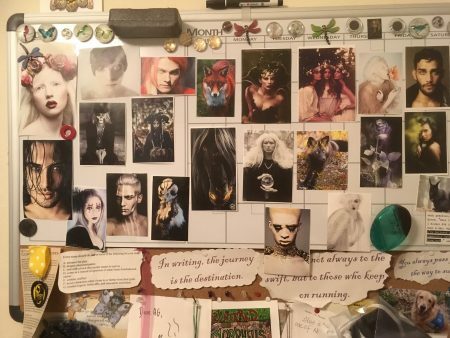 Teasing us even more, A. G. took to her Facebook page to share a glimpse at the storyboard for her work in progress. Are you excited for Stain? Tweet us your reaction at @PiqueBeyond.